The Annual General Meeting of the Board of Trustees of Internet Society, a non profit corporation organized under the laws of the District of Columbia, U.S.A. (“ISOC”), was held pursuant to notice at the Fairmont Hotel in San Jose, California, U.S.A., on Monday, June 21 1999 and Tuesday, June 22 1999. Vinton Cerf, Chairman of the ISOC Board of Trustees, assumed the duties of Chairman of the Meeting and called the Meeting to order at 1:40pm on June 21 1999. Geoff Huston, Secretary of the ISOC Board of Trustees, assumed the duties of Secretary of the Meeting and recorded the Minutes. Scott Bradner, Vinton Cerf, Susan Estrada, John Gage, John Gilmore, Don Heath, Christian Huitema, Geoff Huston, Christine Maxwell, Jun Murai, Kees Neggers, Jose Luis Pardos, George Sadowsky and Ben Segal. ISOC: Lynn St Amour, Mary Burger, Wendy Rickard, Mike Sadowski. The minutes of the 1999 Regular Meeting of the Board of Trustees held on December 11 – 12 1998, at Orlando, Florida, had been distributed for review prior to this meeting (ISOC Board of Trustees Document – Minutes of Meeting 16). The minutes, amended to correct minor typographical errors, were unanimously approved. The Board ratified the confirmation of the nominations to the Internet Architecture Board (with one abstention). The President spoke to the Board on his report. The President noted the recent analysis of the mission of ISOC, its goals and objectives. The President announced that the organizational goal has been adopted of reaching 100,000 individual ISOC members in the year 2000. It was noted that such an expansion is not without attendant operational costs and associated intense organizational commitment, and the annual budget of such an expanded operation is estimated to be of the order of USD 1,800,000 per year. Given the current level of funding for the Society of some USD 1,500,000 per year, the need for further funding support was noted by the Board. The President noted the current level of 153 organizational members, and indicated that it was a strategic objective to increase that number of organisations, with an immediate target of funding of USD 2,000,000 per year. The drive to increased individual membership levels will also offer some improvements in the overall balance of funding for the Society. The Society’s individual membership levels was reported as 7,544 members, an increase of 1,000 in the first half of 1999. Significant effort will be required to create a substantially augmented membership by the end of 2000. The chapter activity is very visible, with 45 chapters chartered, and a further 17 pending. A further 44 chapters are in the process of formation. Chapters are an important vehicle for member involvement in the Society, providing a local focus for activity and for the Society’s programs. To further integrate chapters into the broad range of ISOC activities ISOC is forming a Chapters Advisory Council. The ISOC strategic plan is being lead by Michael Goodman of Dialogue Marketing. The basic market research has been completed, and the value proposition to underpin an effective expansion of the membership base will be presented at the members meeting at INET’99. ISOC has also engaged Edelman Worldwide to handle ISOC’s public relations program. The extensive reach of Edelman across many parts of the world will complement ISOC’s own worldwide membership base. The President noted the positive role of the Network Training Workshop. Despite the positive role of the workshop, the sponsorship opportunities for the workshop were not as large as previous years. The adopted approach will be to followup funding with potential sponsors, noting that it is possible to develop a sponsorship program to recover the operational deficit expected for 1999. With respect to staffing items, the President noted that the Executive Director, Marty Burack, has retired. Lynn St. Amour has appointed to the position of Executive Director. The president expressed his appreciation of Marty’s efforts, and noted with pleasure Marty Burack’s election to the Board of Trustees. OnTheInternet will move to a web-based publication in 2000. Until the end of 1999 the paper copy will continue to be produced and circulated to members. The InsideISOC electronic newsletter has attracted some decent feedback, but it was noted that additional detail on the activities of ISOC would increase the value of this communications vehicle. The activities associated with Internet self-governance continue to be a part of ISOC’s activities. ISOC’s intentions remain constant with the building of a productive and useful consensus to assist in the operation of ICANN and its various Supporting Organisations. The ISOC Executive Director, Lynn St. Amour, briefed the Board on the activities of the EMEA Office. The EMEA office has been financially self-sufficient, and the funding support is strong within the region. The financial goals will be met. The office has appointed further staff members, with the addition of an administration and membership staff member. Free office space has been donated by Lombard & Odier, a private bank in Geneva. The Board expressed its’ gratitude to Lombard & Odier for this generous support to ISOC. An additional part-time member has been appointed with a focus on ME activities. Support for various ISOC activities from local students is also being projected. The ‘United Nations Follow-up to the Copenhagen Social Summit’ is scheduled for June 26 – 27, 2000 in Geneva. The opportunity for ISOC to participate in this by hosting a special Internet Events Day was noted. The ITU is organising an initiative called Electronic Commerce for Developing Countries (EC-DC). One of the first EC-DCs is projected for Egypt with many other countries to come on quickly. ISOC is being invited to participate in this activity as well as other projects and these are under consideration. ISOC has a booth at Telecom 99 (October 1999) as part of a reciprocal arrangement with the ITU. A Steering Committee is working on this, with a spotlight on various initiatives that ISOC has undertaken. The ISOC booth will operate for the entire conference. In addition, initiatives from various chapters are also being considered for Telecom 99. More details on Telecom 99 will be supplied by the Executive Director to the Board. The Board noted the requirement for further administrative support for chapters, including the formation of the Chapter Advisory Council. Further definition of membership processes and value propositions are also being proposed, including a proposed modification to the method of operation with the chapters. The Board expressed its thanks to Lynn St. Amour in her achievements to date with EMEA. The chair of the ISOC Advisory Council, Osten Franberg, reported to the Board on the Advisory Council meeting, held on June 21, 1999. The Advisory Council meeting reviewed its activities over the past 12 months, reporting on social issues, policy matters, legal issues, standards bodies, commerce issues and ethical issues. The Advisory Council agreed that Advisory Council members would participate in the forthcoming Global Internet Program meeting, scheduled for September, 1999. It was reported that Advisory Council members were briefed on current and planned ISOC activities, including reports on potential activities including the establishment of the ISTF and continued support for the Internet Fiesta. Mike Nelson reported to the Board on the Global Internet Project, an industry body working within the area of Internet policy, with a focus on business policy and forward issue analysis. The Board considered a proposal for ISOC to work with this group on a number of policy matters, and in a number of roles. The Board was of the view that followup actions relating to this proposal, including potential liaison positions between the two bodies, should first be considered by the ISOC Advisory Council. Accordingly, it was proposed that any adopted liaison between ISOC and the GIP could be undertaken under the auspices of the ISOC Advisory Council. The Board noted with pleasure the significant progress by the Advisory Council, and noted in particular the efforts of Stefano Trumpy in engaging the Advisory Council in ISOC matters. The President spoke to the ISOC Financial Report. The Board reviewed the organizational membership. The President noted some 153 organizational members, with a total support of some USD 1,446,000 per year. The goal is to increase this level of funding support from this sector to USD 2,000,000 per year. The Board reviewed cash flow projections, indicating a reduction in cash flow projections for the months following INET’99. The major influence in this cash flow position is the negative financial outcome anticipated from INET’99. Current available operating cash reserves are positioned at 40 days operational expenses. End of year projections will commence in July 99 and circulated to Board members. The major priority lies in the need to continue with a very active fund raising program for the Society. The Board unanimously adopted Resolution 99-02, accepting the audited financial statements for 1997 and 1998 as an accurate record of ISOC financial activity. The Vice-President for Conferences, Javier Sola, reported to the Board on the INET conference activity. INET’99 has a strong program, focussing on specific issues of Internet2 and the IETF activities. The business track is structured along the lines of business and developmental issues. The technical tours and womens’ discussion group are considered to be valuable adjuncts to the INET program. Sponsorship levels and attendance levels are down from original projections, and the financial outcome is anticipated to be a loss of USD 200,000. The Conference Organising Committee received a number of proposals, and following extensive investigation, has concluded with the adoption of the proposal for INET’2000 to be hosted in Yokohama, Japan. The Conference Chairs are Toru Takahashi, and Brian Carpenter. Conference Committee members are being selected, including the composition of a strong local committee. Jun Murai and Jean-Claude Guedon will chair the INET’2000 Program Committee. The call for papers will be generated quickly for INET’2000, and the program committee formed early in the process, to ensure that critical project milestones will be met for this conference. JCOM, a local conference organizer, will be involved with the support of the conference. The Japanese committee is considering local staff for support of sponsorship activities. ISOC’s partner for INET’2000 is a group of associations lead by JPNIC. The MoU is intended for equal shares of net loss or surplus. The Board noted strong intended corporate support for INET’2000. The INET bidding process is seen to be a way to increase the surety of the outcome of the conference. The V-P Conferences considered the release of a call for proposals for the 3 subsequent INET conferences after INET’2000. This increases the lead time for the selection of conference dates, generation of the bid and the associated funding structures. The NDSS’99 conference, held in February 1999, returned an operating surplus of USD 67,000, a significant turn around from the financial outcomes of NDSS’97 and NDSS’98. The strong focus on tutorials and sponsorships, with attention to conference costs are the major reasons for this outcome. The conference occupies a market niche with a steady level of attendance of some 200 registrations. The conference organisation has been adjusted to include an NDSS Steering Group. The Board expressed its deep appreciation of the efforts of Steve Welke, who has been a very active conference chair for NDSS. The Board noted the plans for NDSS’2000, to be held on February 2 – 4, 2000 at San Diego, CA. Tutorials and the keynote speaker have been selected, and the program committee has publicised the call for papers. In addition the NDSS sponsorship program is underway, together with a publicity campaign positioning the conference as a content-rich academic symposium. George Sadowsky and Alan Greenberg reported on the 1999 Network Training Workshop. It was reported on the success of the English and French track workshop in terms of achieving its training goals. The workshop was hosted by San Jose State University, and it was noted that the teaching facilities were the most outstanding in terms of quality of facilities experienced by the workshop to date. Sponsorships for NTW for 1999 were a major problem. Due to some visible reduction in availability of funding support for these activities, the financial outcome of the 1999 workshop is anticipated to be an operating loss of USD 80,000. The workshop distributed some 2,000 lbs of books, with the generous support from O’Reilly, Wiley, Cisco Press, BSDI, RedHat and Walnut Creek. Equipment support was provided by Cisco, Nortel and 3Com, with access to some USD 1,000,000 of equipment used by the workshop. The Board expressed its sincere appreciation to these organizations for their generous support of the Training Workshops. The Board unanimously adopted Resolutions 99-03, 99-04, 99-05, and, with one abstention, 99-06. RESOLVED, that the Board expresses its gratitude to Cisco Systems, Nortel, MCI Worldcom, O’Reilly Publications, John Wiley & Sons, Cisco Press, BSDI, Redhat, Walnut Creek, NATO, World Bank/infoDEV, U.S. State Department, France Telecom, Novell and the International Association of Butterfly Enthusiasts for their generous support of the 1999 ISOC Network Training Workshop. RESOLVED, that the Board expresses its appreciation of the donation of time and effort by the teaching instructors and staff of the 1999 Network Training Workshop. The Board is particularly grateful for the setup efforts undertaken by Geert Jan de Groot. The Board also heard of the successful outcome of the Spanish language track workshop, held in Venezuela in the week preceding INET’99. The Board noted that the Network Training Workshop has now taken place for some 7 years. 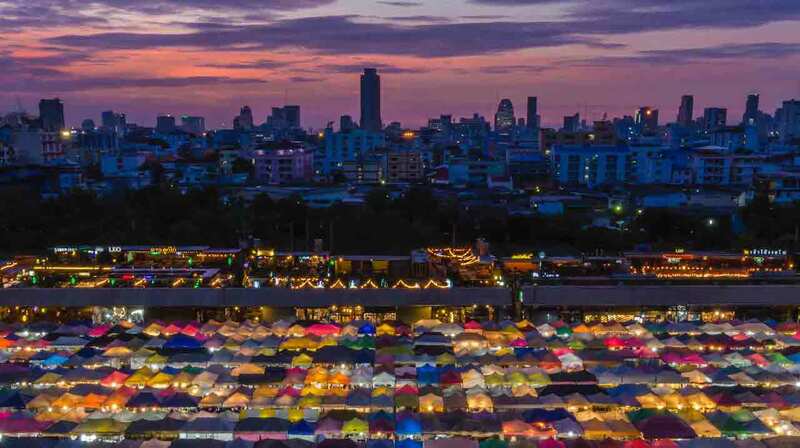 The original objective of encouraging basic Internet connectivity to the developing works has been largely achieved, and the spectrum of training needs from the developing world is evolving. Various refinements to the Network Training Workshop operational model were reported to the Board. The Board discussed the evolution of training needs in the developing world, and discussed various roles that ISOC could take in response. The sense of the Board was to endorse the approach of the Sustainable Internet Training Centers, and explore related opportunities for further use of the ISOC curriculum in the context of in-situ training programs, also examining the approaches used in the CENET programs, the Spanish workshops and the on-site French language workshops. 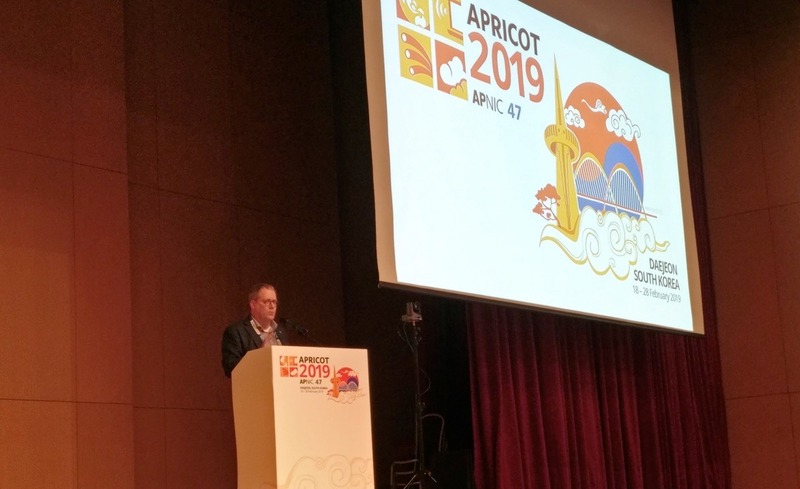 Such opportunities for local training were envisaged to include ISOC Chapter activities, and potentially include the Regional Internet Registries and regional technical conferences, such as APRICOT in the Asia / Pacific. In such situations the role of ISOC would concentrate on the provision of a high quality curriculum and tested courseware material. The format of a workshop prior to INET conferences was endorsed, with discussion indicating that some refinement to the the curriculum would assist in meeting evolving training needs. The matter was passed to the ISOC Vice President for Education, with the request to consider these refinements in further detail, with regard to the outcomes of accreditation, relevance, efficacy and likely financial outcomes for ISOC. The Board reiterated the critical importance of the ISOC role in the training needs of the developing world in technical, policy and strategic areas, not only to the developing world itself, but also in forming part of the fundamental set of roles of ISOC within a worldwide context. The Board noted that Dialogue Marketing Group had been engaged by ISOC to assist in working on a strategic plan for the Society. Michael Goodman of Dialogue Marketing Group reported to the Board on the status of this activity. The Board reviewed the project objectives and current status report in detail. The Board discussed the adoption of a mission statement, an associated positioning statement about the Society’s membership and the value proposition. The Board adopted the following as the mission statement for ISOC: “To assure the open development, evolution, and use of the Internet for the benefit of all people throughout the world.” The Board recommended that this be published in as many languages as possible, and the ISOC publications carry these translations. The Board supported the following as the ISOC Positioning Statement: “Internet Society members are recognized as leaders in helping the Internet reach its full potential as a positive tool for improving people’s lives. This is because the Internet Society sponsors and supports a broad range of projects and initiatives that extend the Internet and highlight its unique capabilities, embraces and promotes an “Internet culture” that fosters effective self-governance based on broad-based consensus building processes, and has today’s Internet leaders as active members, officers and trustees. It was noted that the critical decisions that form part of this strategic plan are the adoption of a membership pricing plan and an associated packaging of benefits, and the adoption of a communications plan to promote membership, and the roles and relationship between ISOC and its chapters. extended publications program, including a revised ISOC logo, a revision of the ISOC web site with features of ease of navigation and multilingual support, issuing of white papers on key issues, and a source of authoritative historical information on the Internet. Consideration of the strategic plan extended into consideration of the membership and chapter reports. The Board noted the current membership levels as reported to the Board, noting the increasing interest in ISOC individual membership in 1999, with a further 1,000 new memberships in this period. It was recorded as the sense of the Board that the role of servicing ISOC membership continue to be managed centrally through the ISOC Secretariat, allowing ISOC the ability to accurately determine who its members are, and what benefits are available to members. The Board considered a proposal for a 5 – tiered membership plan, including options for multi-year membership, and the ability to join a chapter of SIG with membership revenue shared between ISOC and the nominated chapter or SIG, noting the financial impacts, the relationship to the strategic membership objectives and the relationship with the ISOC chapters. The Board considered a proposed fee schedule for developing countries, and with 3 abstentions, adopted Resolution 99-08. The Board considered the report on ISOC chapters, noting 45 chartered chapters, 17 in the process of formation, and a further 44 groups investigating the feasibility of chapter formation. The Board also noted a summary of major current chapter activities. The Board noted the formation of an ISOC Chapter Advisory Council to assist ISOC in working with chapters, and the formation of Special Interest Groups, intended to allow members with shared interests to work together within an ISOC-supported structure. The Board also noted the proposal to centralize membership fee collection and disburse funds to chapters according to an agreed revenue split. It was noted that this proposal would be put to the ISOC chapters meeting to be held following INET’99, and that the outcome would be reported to the Board. The Vice-President for Publications, Nick Trio reported to the Board. The move to an electronic publication format will be undertaken by ISOC, complementing a hard copy publication. The membership desire is for both electronic AND hard copy formats. From January 2000 OnTheInternet will be published electronically. For members who wish a paper hardcopy, there will be two paper-published issues per year, as a sponsored publication. The Board noted that this will be undertaken within the available budget. An advisory group of contributing editors is envisaged. The Board noted that Inside ISOC is working well. Some encouragement to the ISOC Officers to submit material by the publication deadlines was given. Chapter support for multilingual publication was considered. The Vice-President for standards, Scott Bradner, reported to the Board. The Board noted that the ISOC – IETF relationship is now well accepted, and credit is being given to ISOC for its support of the Internet Standards process. It was reported that the ICANN Board is considering the proposal of a Protocol Support Organization (PSO) submitted by the IETF. The draft of the Memorandum of Understanding that will enable the PSO will be published as an Internet draft in the near future. It was reported that ISOC is now funding the full cost of the RFC Editor function. A potential issue is the traditional role of the RFC Editor as an open publisher. More recently the RFC Editor has used the IESG as an editorial Advisory Board. The exact nature of the role of the RFC Editor, and the Editor’s relationship with IETF will is likely to be reviewed in the near future. With respect to the historical IANA function, the management of Internet names and Internet address allocation now falls within ICANN’s purview, but the assignment of protocol identification numbers fall outside ICANN’s responsibility. The IESG and IAB are working with ICANN and ISI on appropriate measures to ensure stable continuity of this function. The IAB has prepared a draft Memorandum of Understanding to address this function, and is discussing this within the IETF and with ICANN and ISI. It was reported that ISOC insurance of the Internet standards process now includes the role of the RFC Editor, and the V-P for Standards extended his thanks to the ISOC President, Don Heath and Mary Burger of ISOC Staff for arranging this. Brian Carpenter reported to the Board on the activities of the IAB. Brian expressed his appreciation to Scott Bradner in his role as V-P Standards. With respect to ICANN, it was reported that the IAB is now forming the view that its interaction with ICANN will be limited to matters pertaining to the Protocol Support Organization and the protocol value assignment IANA functions, as distinct from issues related to the DNS Support Organization, or the Address Support Organization. Proposals to create a Protocol Support Organization have been formulated within the IETF, with the support of Scott Bradner. Work is now progressing on the enabling Memorandum of Understanding that will be executed between ICANN and the constituent bodies of the PSO. In addition the IAB is forming the view that it should execute an agreement over the continued operation of the historical IANA functions, as they pertain to the assignment of protocol values. It was observed that the individuals with a history of operational involvement in this activity are now ICANN employees or contracted to ICANN, and that the continued operation of this function may entail the execution of a separate agreement with ICANN. It was noted that the IAB charter document executed by ISOC refers to the IAB as having the power to designate the IANA function, and, within the remaining scope of protocol value assignment, this is being undertaken by the IAB. The Board expressed its desire that the IAB would be present to assist on technical consideration of the practices of name and address policy determination if so requested, and was assured that there is no intent on the part of the IAB to abrogate any form of technical responsibility, but due recognition is made of the political dimension of many of the topics currently under ICANN consideration of this matter. The major current technical concern of the IAB is over the future of the network layer with the pressures on V4 address space, Network Address Translators and IPV6. This is viewed as having the risks of segmentation of basic network infrastructure at the level of the network protocol. There is an IAB workshop to be held in July 1999 on this topic, with the expectation of some form of vision for the future from this workshop. There will be a workshop report. The IAB is considering an appeal relating to an IESG decision. The Board was informed of the existence of the potential to appeal to the Board on the grounds of the processes described in RFC 2026. The ISOC President, Don Heath, reported on the activities of trademark registration of ISOC’s name name and mark. A complete inventory of current filings and their status was reported to the Board. The President reported on the current status of the trademark dispute over the term ‘Internet’. It was noted that the dispute with Internet Inc. over the unencumbered use of the term ‘Internet’ has been outstanding for some 6 years. This is a joint action by ISOC and the Corporation for National Research Initiatives (CNRI). The other party to the dispute, Honor Technologies, have signed the Mutual Consent Agreement documents that would bring this dispute to a favourable close. It was noted that this firm has been recently acquired by a third party, and further negotiation to conclude this matter may be necessary. The President reported to the Board that the Jonathan B. Postel Endowed Chair fund had been transferred to UCLA. The Board noted with gratitude the energetic efforts of Dan Lynch in supporting this fund. The Board noted that the Jonathan B. Postel Service Award fund had raised USD 57,000. The Board unanimously adopted Resolution 99-09 in recognition of Dan Lynch’s efforts. The Chair of the 1999 ISOC Elections Committee, Christian Huitema, reported on the 1999 ISOC Trustees Election outcome. In the 1999 Trustee elections 7,000 ballots were posted. Of the ballot returns, 684 were received by by mail, 14 by fax, and 1,112 by web, representing a 26% vote return rate. This was noted as an improvement over the previous year, an encouraging sign of membership involvement. The Board discussed the election process, the means taken to ensure anonymity of the vote, and the feasibility of adopting an electronic voting process, noting the Elections Committee report, and the associated investigation of balloting options for future elections. The Board unanimously adopted Resolution 99-10, adopting a timetable for the 2000 Trustee Elections. The Board reviewed the operation of the candidate petition process, and concluded that provision of a membership number as part of the petition signature would ensure that a petition candidate would be able to collect the requisite number of valid signatures within the time available. By a majority vote, the Board adopted Resolution 99-11. RESOLVED, that a valid petition signature for petition candidates includes the name, ISOC membership number and email address (if available) as a valid petition signature. The Board met in Executive Session to discuss staffing issues. By a majority, with one abstention, the Board adopted Resolution 99-09. RESOLVED, that with the exception of the statutory Officers defined in Article IV, Section 1 of the By-Laws of the Society, all other Officers shall be selected by, report to, and shall serve at the discretion of, the President and CEO of the Society. All such appointments shall be ratified by the Board. MOVED, that Resolution 99-10 be amended such that the final sentence shall read “All such appointments shall be subject to ratification by the Board”. RESOLVED, that with the exception of the statutory Officers defined in Article IV, Section 1 of the By-Laws of the Society, all other Officers shall be selected by, report to, and shall serve at the discretion of, the President and CEO of the Society. All such appointments shall be subject to ratification by the Board. The Chairman of the Board, Vint Cerf, proposed to the Board that the Internet Society create a task force to study the societal impact of the Internet. The proposal envisaged the creation of a body parallel to the IETF and IRTF, and use a prescriptive rather than descriptive charter to examine societal impacts of the Internet. The body is proposed to have a chairperson, a steering committee initially appointed or approved by the ISOC Board as an enabling measure, and the creation of various working groups. The primary purpose of this task force would be to describe steps that would assure that the Internet is for everyone, and examine the various social and economic aspects of this objective. Potential outputs of the ISTF were proposed to include white papers, educational initiatives, conference tracks and workshops. The medium term of the ISTF may offer a mechanism for broadening the relevance of ISOC to a larger potential membership constituency. The Board unanimously approved the proposal to authorize the creation of an Internet Societal Task Force. Resolution 99-13: Internet Societal Task Force. RESOLVED, that the Board authorizes the President of ISOC to take necessary steps to create an Internet Societal Task Force as an ISOC initiative. The next meeting of the ISOC Board of Trustees is scheduled immediately following the adjournment of this meeting, on Tuesday, June 22 1999, in San Jose, U.S.A.. The meeting was adjourned at 5:20pm, 22 June 1998.